In the world of Data Mining and Knowledge discovery, we’re looking for a specific type of intelligence from the data which is Patterns. This is important because patterns tend to repeat and so if we find patterns from our data, we can predict/forecast that such things can happen in future. 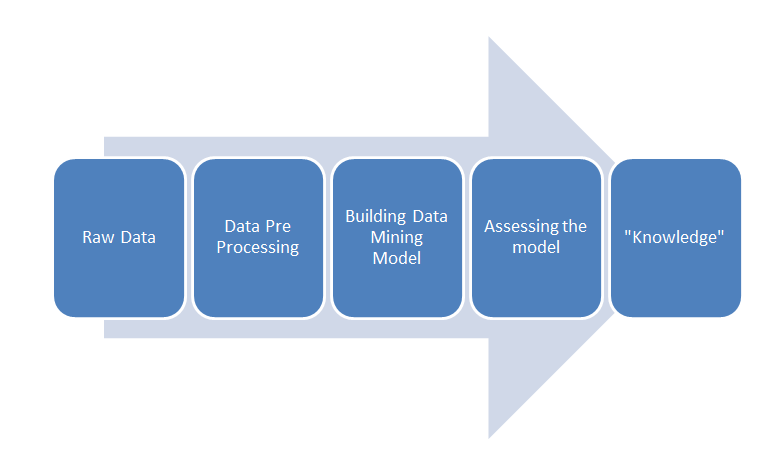 In this blog post, we saw the Knowledge Discovery and Data Mining process. The terms data mining and data warehousing are often confused by both business and technical staff. The entire field of data management has experienced a phenomenal growth with the implementation of data collection software programs and the decreased cost of computer memory. The primary purpose behind both these functions is to provide the tools and methodologies to explore the patterns and meaning in large amount of data.